But Jack Fisher sees her. He's the guy all other guys want to be: the star athlete gunning for valedictorian with the prom queen on his arm. Guilt over the role he played the night Anna's body was discovered hasn't let him forget Alex, and now her green eyes amid a constellation of freckles have his attention. He doesn't want to only see Alex Craft; he wants to know her. Circumstances bring Alex, Jack, and Peekay together as their senior year unfolds. While partying one night, Alex's darker side breaks out, setting the teens on a collision course that will change their lives forever. 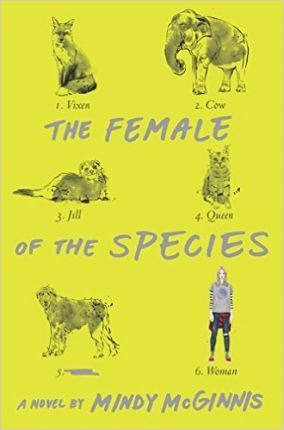 Edgar Award--winning author Mindy McGinnis artfully crafts three alternating perspectives into a dark and riveting exploration of what it means to be the female of the species.